Sorption effects are industrial used in pressure swing adsorption plants (PSA), e.g. for bio methane purification. Thereby adsorber vessels, filled with zeolites or carbon molecular sieves, are flown through by gas mixtures. Carbon dioxide is absorbed by the sorbent materials, leading to a pure methane flow, which can be used for power generation. Another industrial application is the nitrogen generation from ambient air. A continuous supply of product gas is carried out by batch operation of several adsorbers. For an investigation of these processes under realistic conditions, RuboLab offers specialized laboratory scale PSA systems. The fully automated instrument can be used to measure breakthrough curves within adsorber columns. In addition, complex PSA and VSA processes can be investigated using two or more adsorbers (max. 10). 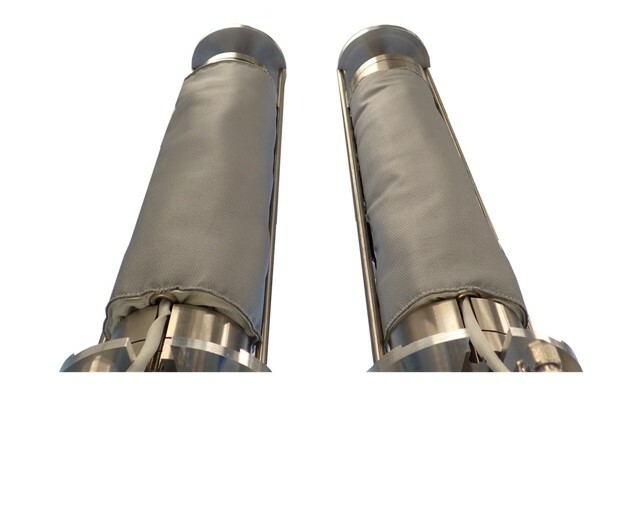 Therefore, the standard system is equipped with two stainless steel adsorber vessels, which can be filled with sorbent materials. By means of thermal mass flow controller and a pressure regulation device, we can realize system pressures of up to 69 bar. Fluid handling is done by using pneumatically high pressure valves and metal sealed fittings to ensure lowest leakage rate and best vacuum conditions. 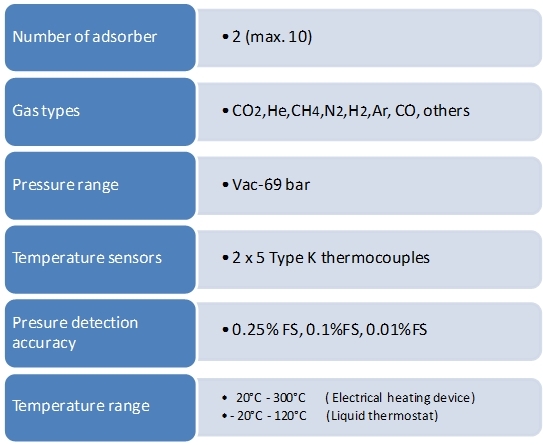 The adsorption front can be detected using 5 different temperature sensors. Adsorber breakthrough is measured using gas analyzation sensors like NDIR, TCD, GC or MS. The picture on the left shows experimental results, measured by means of the RuboLab Vari PSA. Sorption measurement was performed using a binary gas mixture composition (60 vol-% N2 und 40 vol-% CO2) and a zeolite molecular sieve type 13X. The time shifted temperature peaks at different positions within the adsorber show sorption based temperature increase of up to 70°C. Adsorber breakthrough is detected by means of increasing CO2 concentration in product gas flow. In this example, the CO2 concentration was measured using a non-dispersive infrared sensor (NDIR). The standard VariPSA version contains two adsorber columns. 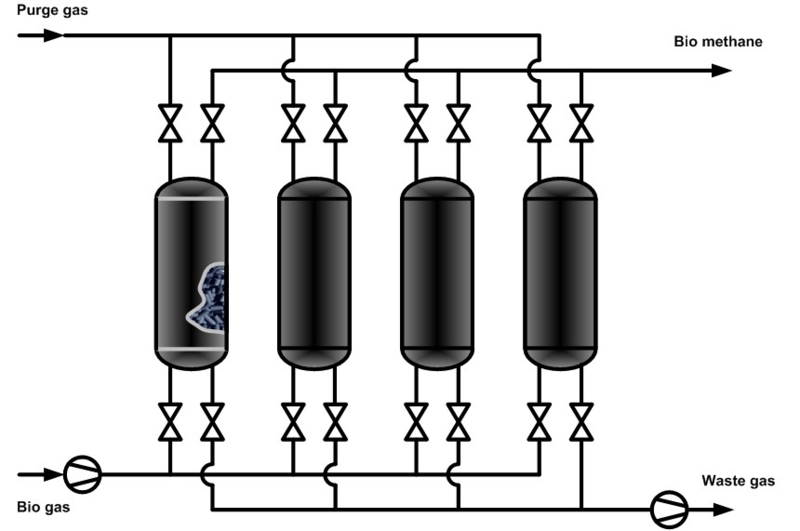 In addition, the system can be expanded with further adsorber vessels (max. number of 10 columns). The volume of each adsorber bed can be adjusted using inner containments. The Rublab Vari PSA Software allows a fully automated measurement performance of complex PSA or VSA studies. Online measurement data is shown on the integrated touch display. All data are saved in ASCII format and can be copied using a USB port at instrument front panel. The VariPSA system contains high resolution pressure and temperature sensors to ensure best measurement accuracy. 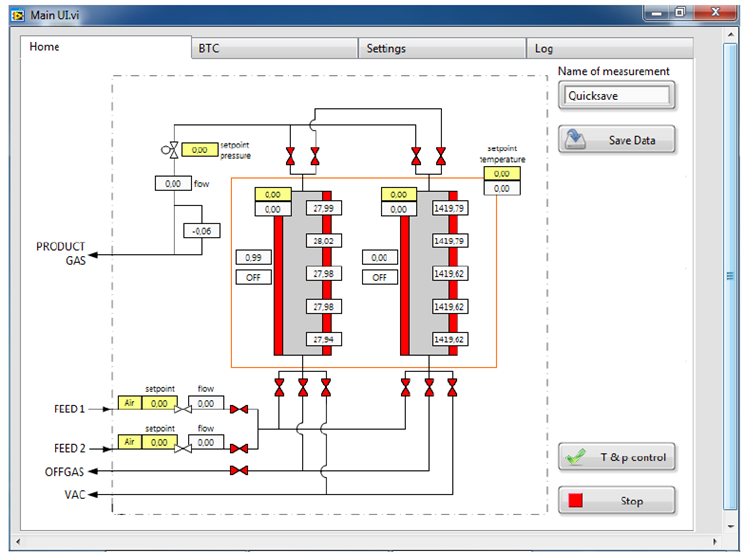 The used premium pressure sensors are working within a measurement uncertainty of 0.04 % FS. The VariPSA system was used to measure breakthrough curves of H2-CO2 gas mixture on new synthesized MOFs (metal-organic frameworks).